Day 113 – Thursday, June 30: Stealth Camp (The Ledges) to Upper Goose Pond Cabin, 16.5 miles, 1,548.1 total AT miles. We woke early, cognizant of the fact that we were tenting directly on the AT. We quickly broke camp and ate breakfast – unfortunately, The Ledges didn’t offer any sunrise views so we quickly got hiking. At 8:30am, we passed the Swann Brook Pond. I noticed I had cell service and quickly sent an email to my mother and grandmother requesting my next mail drop arrive in Manchester Center, VT, 120 miles to the north. The plan today was to lay up a little short of our 20-mile average. Greyhound really wanted to stay at the Upper Goose Pond Cabin, about 16 miles to the north. She read that this was one of those places that thru-hikers shouldn’t miss. We decided to hike fast and hard – thankfully the trail cooperated. We caught some beautiful views as we powered forward. By 4:30pm, we had hiked the 16 miles to Upper Goose Pond. We certainly could have hiked further, but decided to stick to our plan. And I’m glad I did! Upper Goose Pond not only had ample tenting sites, but a full service kitchen and canoes by the pond. Greyhound and I quickly set up our tents and made our way down to the cabin. We ran into many thru-hikers we knew and chatted on the porch before decided to take the canoe out for a late afternoon paddle. We went back to our tents and were completely surprised by a trail angel literally running through camp handing out ice cream sandwiches! The closest road was nearly two miles away and downhill – he ran uphill to deliver the treats to us. After devouring the ice cream, we made our way down to the dock and untied the canoe. We weaved our way across the water towards a small island. I beached the canoe and we hopped off to explore. It was very warm and Greyhound convinced me to take a swim in the pond. The water was clear and bone-chillingly cold. Our swim didn’t last long and we made our way back to camp for dinner. The volunteer cabin manager gave Greyhound some carrots and cabbage – I used the cabbage for dinner. It was a delicious, fresh treat. After dinner, Greyhound and I walked down to the cabin and were treated with s’mores, pulled hot off the fire by two section hikers. It was nearing sunset and we decided to retire for the evening. Author Chris KummerPosted on October 10, 2016 1 Comment on Day 113 – Thursday, June 30: Stealth Camp (The Ledges) to Upper Goose Pond Cabin, 16.5 miles, 1,548.1 total AT miles. Day 112 – Wednesday, June 29: Laurel Ridge Campsite to Stealth Camp (The Ledges), 23.9 miles, 1,531.6 total AT miles. Greyhound and I woke early and were packed up before Ish was stirring. Greyhound accidentally left some peaches out the night before and I quickly noticed they had been nibbled on. We were on the trail by 7:00 am and started a gradual climb up Mt. Race that promised multiple views. It was a foggy morning, but as we hiked, the sun started burning away the fog leading to some pretty spectacular hiking. Greyhound and I stopped numerous times to take pictures. We made the quick, but steep, push over Mt. Everett. We both needed water and I needed to use the privy pretty bad. Lucky for us, there was water waiting at the Guilder Pond Picnic Area in the form of clean gallon jugs – trail magic! While we refilled, we noticed that the forest floor was covered in tiny insects. At first, I thought they were crickets again, like I had seen the day after leaving Hot Springs, NC. Upon closer inspection, they turned out to be tiny frogs – and there were thousands of them. They were hopping everywhere. We left trying our best not to squash them underfoot. We began the gradual descent of Mt. Everett making good time on the easy trail. We caught some pretty beautiful views at Jug End as we made our way towards Great Barrington, MA. It was 1:00pm by the time we made it to US 7 having hiked 13 miles on the day. To our surprise, Ish was waiting at the trailhead. He needed to hitch into town for a resupply – we said, “why not tag along?”. The three of us stood on the side of the road for at least 20 minutes before getting a hitch – I give full credit to Greyhound. We saw a van approaching in the distance and Greyhound exclaimed, “Come on – you know you want to!”. To my complete surprise, the van pulled over an offered us a lift. The three of us climbed in and I found myself at my second grocery store in two days. Greyhound and I bought a rotisserie chicken and bread to eat for lunch – it was pretty funny. We sat on the sidewalk in the shade and ate that thing like animals. After completely stuffing ourselves, I pulled the rest of the meat off the bird and put it in a Ziplock to save for dinner – there was a lot of chicken left over. Ish arranged for a hitch back to the trailhead and we were hiking north again by 3:00pm. Ish took off (he’s ex-military and is Monster-fast) – Greyhound and I hiked north alone. We crossed some beautiful corn fields and slowly made our way back into the mountains. Greyhound stopped to use the bathroom and I hung back. I turned when I heard another hiker approaching – It was Sweet Potato! I haven’t seen her in quite a while. After Greyhound returned, she filled me in on what’s been happening with her hiking group. Monster is ahead (and long gone as far as I can tell), Juan and Oriole are a few days behind. And more news – Sweet Potato decided to buy trekking poles (she had been using a hiking staff previously). She was moving well and exclaimed that she didn’t see how she had been hiking for so long without the use of trekking poles. Greyhound knew Sweet Potato as well and the three of us chatted for a while before Greyhound and I decided to head on. It was getting late in the afternoon and I was feeling miserable. It wasn’t my stomach or anything like that – it was my shorts. The children’s gym shorts I purchased had stretched out over the course of weeks of backpacking. I was sweating and the shorts kept falling off my hips – there was nothing I could do to keep them up. At the Tom Leonard Shelter, Greyhound suggested I hike in my underwear. I took her up on the offer. It worked! I was able to move quickly again and instantly realized how much cooler I felt (temperature wise, assuredly) hiking in underwear versus sweaty gym shorts. It was getting late in the afternoon and we needed to find a place to camp. I suggested we camp at The Ledges, a rocky overlook located right on the AT. I had plenty of experience cowboy-camping and thought The Ledges looked promising – Greyhound was initially leery of my prediction, but said we should give it a shot. The Ledges were still five miles away and it was getting late but we pressed on. Just before we reached MA 23 (about three miles away from The Ledges), we ran across a small farm with a herd of inquisitive goats. They bleated at me and I bleated back. Before I knew it, the entire herd was walking across the field towards us – a few stopped just short of the barbed wire fence to check us out. After some tough climbing, Greyhound and I made it to The Ledges at 7:00pm. We set up our tents on the main ledge (incidentally, directly on the AT) and started making dinner. I added warm beer (a leftover in Greyhound’s food bag) to the rotisserie chicken and sautéed it. It was awesome – probably the tastiest meal I’ve made while on the trail. We made sandwiches with rye bread and enjoyed a fairly nice sunset before deciding to retire. I did not see Savage, Champa or McDoubles today – and Black Santa is only 35 miles behind me. I spoke with Push – she’s even further back after taking ten days off in Harper’s Ferry, WV. I’m really enjoying hiking with Greyhound. Author Chris KummerPosted on October 10, 2016 Leave a comment on Day 112 – Wednesday, June 29: Laurel Ridge Campsite to Stealth Camp (The Ledges), 23.9 miles, 1,531.6 total AT miles. Day 111 – Tuesday, June 28: Lisa’s Hostel to US 7 to Laurel Ridge Campsite, 18.4 miles, 1,507.7 total AT miles. Greyhound and I slept on the floor in the living room – the others slept in a guest bedroom. We woke up early and started packing immediately. We both wanted to hit the trail as soon as possible. After we finished packing, I walked into the bedroom and bid my first of three final farewells to my three buddies – they were still in bed. Greyhound and I left just before 7:00am and started hiking towards the trail. Within a few minutes, a pickup pulled over and offered us a ride to the trailhead. Folks in CT are really nice! We were back on the trail at 7:30 and enjoyed the flat terrain. We took a detour into Falls Village, CT in an attempt to grab breakfast, but the town diner was closed. While we were hiking back to the AT, we ran into Scuba – I’d met him before, Greyhound seemed to know him pretty well. He decided to stop by the library and we hiked on. At 9:00am, we paused by the Housatonic River and had a snack. We started talking and enjoyed the sun, taking an extended break on a giant slab of rock just next to the river. Neither of us were ready to start hiking, but eventually got going again before noon. We crossed a beautiful field and paused at the Giant’s Thumb at 1:30 for a quick break. Greyhound didn’t take advantage of our trip to town last night and needed to resupply – a resupply takes time and she wanted to get back to Lisa’s. We decided to take (another) detour and walked into Salisbury, CT. After a few turn-arounds, we found the town grocery store. While she shopped, I took advantage of being in a proper grocery store and bought strawberries, sushi and a can of crab (I was feeling experimental). I ate the sushi outside on a bench while Greyhound organized her resupply. We hiked out of town, passing through a graveyard (with a marked water source, crazy!). Right before we entered the woods, we came across Savage, Champa and McDoubles. While we were taking our extending break along the banks of the Housatonic, the three of them had time to pack, visit the doctor and presumably pass us without knowing it – farewell number two commenced. They left ahead of us. At 4:30, we hit the 1,500 mile marker – man, I love these milestones. We talked about needing to hit our 20-mile average despite being ten miles away from doing so. We decided to press on, wanting to make it to the Massachusetts border. The trail got a little more rocky and steep as the day wore on, but we kept hiking north. We pretty much talked the whole time – it sure made the miles go by fast. We reached the summit of Bear Mountain at 5:30, still a mile or so away from our MA goal. We were surprised to find Savage and Champa relaxing by a stone tower on the summit – McDoubles was just around the corner. I had a quick snack and climbed the stone “tower” (really just a rock pile) while Greyhound chatted with Savage and Champa. The five of us decided to hike out together – it was understood that Savage, Champa and McDoubles would be stopping at the first legitimate campsite and Greyhound and I would be pressing on. We hiked on, thoroughly enjoying each other’s company. An hour later, Greyhound and I said goodbye (third and final farewell) at Sage’s Ravine Campsite before hiking on. 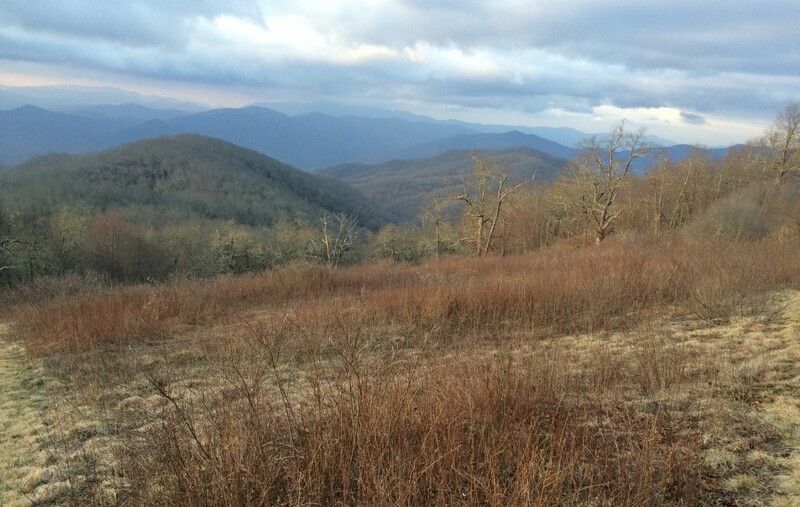 We decided to hike until dusk stopping two miles up trail at Laurel Ridge. We entered the campsite and ran into Ish, a hiker who I had met occasionally that, once again, Greyhound seemed to know well. It’s kind of nice hiking with Greyhound – she’s very good at introducing me to other hikers. And seeing as how I’m essentially alone for the first time since I started, that’s a good thing. It’s not fair to say “I’m alone”. The three of us stayed up past sunset listening to music and having a good time while I cooked. I mixed the can of crab with a Rice Side spiked with Frank’s Hot Honey Garlic sauce. I thought it was gross, but Greyhound seemed to enjoy it. We went to sleep in our tents, eager to get an early start. I spoke with Black Santa today. He indeed stealth camped last night and is 40 miles behind – he’s looking forward to catching up. I’m not expecting to see Savage, Champa or McDoubles again on this hike. It’s long been my plan to average 20-mile days after leaving Brooklyn. I’m really glad I stayed at Lisa’s and had the opportunity to say a proper goodbye. And I’m equally glad to have met Greyhound – we’re getting along really well. On Greyhound’s trail name – she was given the name from her uncles. They’re in their early sixties and had long planned on thru-hiking the AT. Greyhound is a recent college graduate and decided to “tag along”. They gave her that name because she’s a very fast hiker. And it fits. She could leave me in the dust if she wanted to. Author Chris KummerPosted on October 10, 2016 Leave a comment on Day 111 – Tuesday, June 28: Lisa’s Hostel to US 7 to Laurel Ridge Campsite, 18.4 miles, 1,507.7 total AT miles. Day 110 – Monday June, 27: Stony Brook to US 7 to Lisa’s Hostel (unofficial), 15.0 miles,1,489.3 total AT miles. I woke early as planned and got started packing up. Since my keyboard is completely shot and typing on my phone is mind-numbingly slow, I’ve taken to making notes in my journal. I hope to purchase a new keyboard soon or stop by a library to upload posts. I did, however, enjoy waking up without the stress associated with uploading a post. Greyhound and I left camp at 7:00 and started hiking north. I told her I needed to stop in Cornwall Bridge, CT to pick up a package – she agreed to come along. She was definitely set on staying at “Lisa’s Hostel” with the group. We watched the new trailer for “Ghostbusters” before hiking north. Cornwall Bridge lay only four miles ahead. The trail was great again today – nice and easy terrain with nicely graded ascents and descents. Just after 9:00am, we crossed the bridge and headed into Cornwall Bridge. I quickly grabbed my mail drop and spread out in the parking lot to repackage my food. The owner of a frame shop next door invited Greyhound and myself inside to use the bathroom and grab a snack – ah, the perks of hiking with women. We were ready to leave by 10:00am, but stopped at a “hiker-friendly” liquor store instead. While there’s seemingly nothing “hiker-friendly” about a liquor store, Greyhound and I enjoyed chatting with the owner (a huge AT supporter) and even got a free (alcoholic or non-alcoholic) beverage of our choice. We thanked the owner and headed north again – we wanted to meet Champa as soon as possible and were still twelve miles away from Lisa’s Hostel. We had a few steep, but short, ascents – the weather and trail were beautiful. At 4:00pm, we exited the woods and called Champa to get a ride – Lisa picked us up and took us to her home. It was nice seeing all my hiking friends again. Greyhound showered while I caught up with the group. Soon it was my turn – even though I had only been in the woods for three days, taking a shower felt great. After our showers, Lisa took us into town to buy food for dinner. I only needed a few items to supplement my mail drop and I’d be good to go for the next five days. We came back to the Lisa’s home and helped Champa make a delicious dinner – truly some gourmet stuff. We all stayed up late talking and listening to Savage and Champa sing and play the guitar. Tonight during dinner, Savage, Champa and McDoubles told me they wanted to slow down a little. They just hadn’t been enjoying the 20-mile per day pace I had been pushing for. It kind of took me by surprise – I was expecting the five of us to set off together tomorrow. It’s a real bummer – these guys are an important part of my journey. I guess the idea of “hike your own hike” just hit home. I need to push myself in order to enjoy this thing and my three hiking buddies need to slow down to enjoy their hike. It’s the way it works. There’s no hard feelings amongst us at all – I truly like and respect these folks. But it’ll be sad – I’ve been hiking with Savage since day one. It’s not all bad though. Greyhound and I really get along and she’s dead set on finishing this hike near the same date that I want to. Looks like we’ll be hiking together for the foreseeable future – I’m glad to be leaving tomorrow with a new hiking buddy. Author Chris KummerPosted on October 10, 2016 October 10, 2016 Leave a comment on Day 110 – Monday June, 27: Stony Brook to US 7 to Lisa’s Hostel (unofficial), 15.0 miles,1,489.3 total AT miles. Day 109 – Sunday, June 26: Stealth Camp (Red Trail) to Stony Brook, 23.3 miles, 1,474.3 total AT miles. I woke up around 6:00am feeling great – whatever tore my stomach up had passed. I had cell service as I was fairly close to town and decided to send a few quick emails from inside my tent. My keyboard is officially done – I typed on my screen and grew very frustrated at my inability to write quickly. I ate a few protein bars before exiting my tent. I packed quickly, taking my tent down at roughly the same time as Greyhound. We hiked north knowing we were getting closer to crossing into Connecticut. I like crossing states off the list, a huge sense of accomplishment. The terrain was nice and we made good time. I ran across trail magic (a banana and a soda) right before hitting the Connecticut border. I paused with Greyhound and a pair of section hikers and took a few pictures. The terrain ahead looked relatively easy – it was 9:00 and I had already covered five miles. Greyhound lived up to her namesake and took off ahead. I lingered to make a quick phone call before hiking on. I crossed the Ten Mile River at 10:00am and didn’t let up. Kent, CT lay eight miles ahead – I remember reading about Kent, that it was a nice, little town. I hustled along, enjoying the nice weather. Right before I hit the trailhead at CT 341, I found a cooler hiding in the bushes. I unclipped my hip belt, grabbed a cold drink, and walked over to a group of hikers that were mulling next to a few parked vans. I saw Greyhound sitting by a cluster of trucks parked on the side of the road. As I walked over, the smell of burgers filled the air. I waved at Greyhound and looked over at the grill. To my surprise, Owl was providing trail magic to us thru-hikers! I hadn’t seen him since Damascus, VA or hiked with him since Hot Springs, NC. It was nice catching up with him. I left my pack with Greyhound and made the short walk into town. Kent was nice indeed. I grabbed some snacks from a gas station and enjoyed a cold drink in the shade. There were a lot of bikers in town and every single restaurant seemed packed. As I made the quick walk back to the trailhead, I spoke with Champa – Savage, McDoubles and himself were taking a zero at a hostel (of sorts) run by a family friend. They’re staying tomorrow night as well and he wanted to know if I wanted to stay. All I’d have to do is finish today strong and have another decent day tomorrow – I’ll get a free shower and place to stay. I made it back to the trailhead at 2:30. More hikers had arrived to enjoy the trail magic in my absence. I chatted with a few guys, but became increasingly aware that I still needed to hike another eight miles or so before stopping. It seemed like most of the other hikers were content with staying next to the grill. I approached Greyhound – she wanted to make more miles and was ready to go. The two of us set off at 3:00pm. We stopped at St. Johns Ledges at 5:30 to enjoy the view before decided to press three more miles towards Stewart Hollow Brook Shelter. Greyhound almost exclusively stays in or tents near shelters. Last night’s stealth camp was an anomaly for her. I convinced her to press the extra mile and camp near Stony Brook. We set up camp and had a quick dinner. I told her about Champa, Savage and McDoubles staying at the hostel and asked if she wanted to join. Her face lit up – she seemed excited. I guess a detour off trail wasn’t in her immediate plans and she jumped at the offer. We stayed up kind of late talking again and decided to get an early start tomorrow. Black Santa is leaving Brooklyn tomorrow afternoon – he wants to get back on trail and start catching up. I estimate he’ll be about 40 miles behind when we both set up camp tomorrow – he’ll be stealth camping and I’ll be staying at the hostel with Savage, Champa, McDoubles and Greyhound. He feels better too, by the way. Author Chris KummerPosted on October 10, 2016 Leave a comment on Day 109 – Sunday, June 26: Stealth Camp (Red Trail) to Stony Brook, 23.3 miles, 1,474.3 total AT miles. Day 108, Saturday, June 25 – Stealth Camp (Pawling, NY train depot) to Stealth Camp (Red Trail), 5.1 miles, 1,451.0 total AT miles. I woke up at 7:00am sweating bullets. I had been sleeping for nearly 10 hours, but still didn’t feel well at all. In fact, I think I felt worse. After hearing the commuter train make an early morning stop, I decided to exit my tent and was surprised to find locals setting up for a farmers market/craft fair. Oh geez, I felt awful. I quickly decided two things – one, I needed to get back in the woods and two, I was never eating Dim Sum again. I walked over to the deli/grocery and bought a sparkling water and Gatorade to rehydrate myself. I returned to my pack and finished packing up. I slung my pack over my shoulders and relaxed in a small park near the deli, trying to muster the energy to return back to trail. I felt so bad, I even considered taking the train back to Brooklyn so I could have a decent place to sleep. I spoke with Black Santa – he wasn’t faring well either, but at least he had A/C and soccer on tv. At 11:00am, I called a taxi and made my way back to the trailhead – hopping off right next to the Dover Oak. I felt horrible and decided I needed to get back into my tent as soon as possible. The terrain was very flat, almost pastoral. I set up my tent in the first stretch of woods I ran across and fell asleep again, this time until 4:00pm. I woke and finally felt better – far from good, but definitely better. At least I could hold down water and Gatorade now. Determined to get a little further away from town, I packed up and started hiking north. I crossed the tracks at the Appalachian Trail Railroad Station and made my way through a beautiful field. I took some amazing pictures, still feeling nauseated from my apparent food-sickness I acquired in the big city. I crossed NY 22 and refilled water at a nursery before pressing on. It was hot and I was already thinking about finding a place to camp. Savage, Champa and McDoubles lay somewhere to the north and Black Santa would be at least 48 hours behind me. I followed the AT as it ran alongside a grassy field. I ran into two hikers relaxing by a cooler full of drinks in the shade. I sat and we started talking – one hiker, Greyhound, knew Savage and McDoubles. They, in fact, had told her to keep an eye out for me as I was still in Brooklyn when they ran across her. Despite I was now two days behind my group, it’s kind of cool knowing I still know hikers out here – even if I haven’t actually met them yet. Greyhound and I decided to hike on – she took the lead and I slowly followed about half an hour behind. I eventually caught up to her near the Pawling Nature Reserve at a small campsite just off trail. I set up my tent and laid down, chatting with Greyhound into the night. She’s a flip-flop hiker, having started southbound from Beuna Vista, VA – she’s now on the northbound leg of her journey. It looks like Greyhound and I are on the same time schedule – we both want an early August summit of Katahdin. I’ll see if I can keep up. Author Chris KummerPosted on October 10, 2016 Leave a comment on Day 108, Saturday, June 25 – Stealth Camp (Pawling, NY train depot) to Stealth Camp (Red Trail), 5.1 miles, 1,451.0 total AT miles. Day 107 – Friday, June 24: Brooklyn, NY to Pawling, NY, Zero Day, 1,445.9 total AT miles. I woke early and went into the living room. Black Santa was starting to stir – his friend had already left for work. It was 8:00am and I desperately needed to find my phone. Nearly all of my pictures were on it – I quickly realized I had made a huge mistake. I never accounted for losing my phone, maybe damaging it, sure, but certainly not losing it. All of my pictures were potentially lost – I was very bummed out. After quick showers, we left the apartment to get breakfast. I immediately walked over to the same Dim Sum shop we had grabbed lunch at the day prior to see if someone had returned the phone – no dice. We eventually settled down in a coffee shop waiting for a Verizon store across the street to open. Black Santa and I talked about our plans for the days ahead. Brooklyn represented Black Santa’s first proper departure from the trail – sure we enjoyed Trail Days and Washington D.C., but this was different. Black Santa wanted to spend some time with an old friend outside of the context of the AT. While I was welcome to stay in Brooklyn, I knew it was my place to move on. I thoroughly trusted that Black Santa would quickly catch up once he got back on trail. At 10:15, I finally had my new phone, an iPhone 6. I now had more memory for pictures – no more deleting apps to make room. I felt motivated to get back on trail, so we walked back to the apartment to pack up, leaving for Manhattan at noon. It took over a decade of planning, but I got to walk across the Brooklyn Bridge with my pack on – definitely something I had always wanted to do if I ever hiked the AT. After crossing the bridge, I bid farewell to Black Santa and hopped on the subway bound for Grand Central. I felt fine at the time, but I remember Black Santa mentioning he didn’t feel well. It was in the back of my mind as I transferred to the Amtrak commuter train heading back to Pawling, NY. As soon as the train was on its way, I immediately fell asleep. I woke just in time to get off at my stop. I didn’t feel well at all. I was achy and very hot – I remember sweating bullets for no reason. Then it hit me – in about 30 minutes, I went from feeling a little sick to being severely nauseated. So what do I do? I walk right over to the deli/market and order a big pastrami sandwich and a slice of cheesecake. I took my dinner over to the gazebo next to the train tracks and slowly ate. I was really feeling awful and decided to lay down. I spread my sleeping pad on the gazebo bench and slowly dozed off, enjoying a beautiful sunset and nice breeze. About an hour later, I was racing over to the bushes to get sick. While I wanted to get back on trail that evening, I opted to stay in town. I walked over to the train depot and half-pitched my tent next to the bushes. I crawled inside and did my best to get comfortable. I remember waking up several times throughout the night due to trains coming through and the pub closing (yes, the same pub I enjoyed a nice bowl of French onion soup at with Get Weird and Black Santa the day prior – turns out it’s a pretty popular establishment). I eventually fell asleep, but slept poorly, sweating throughout the night. Author Chris KummerPosted on October 10, 2016 Leave a comment on Day 107 – Friday, June 24: Brooklyn, NY to Pawling, NY, Zero Day, 1,445.9 total AT miles.